A lovely celebration of father-son bonds and the importance of family, wrapped up in a wonderful extraordinary story that is sure to appeal to young superhero fans! Stanley is a normal little boy, whose dad just happens to be the greatest superhero on the planet. 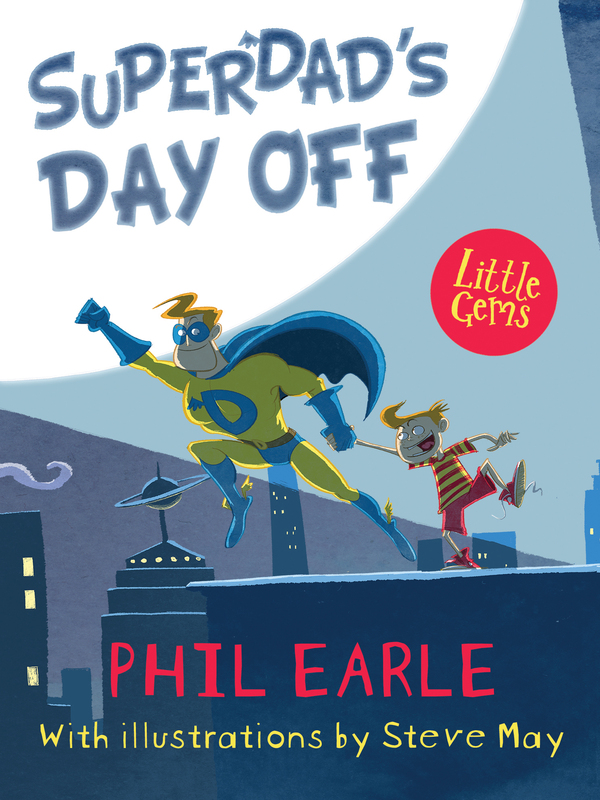 Six days a week, Dad saves the world from disasters, aliens, and bad guys. Friday is his day off and he always spends it with Stan. But one Friday, Dad and Stan meet a series of people desperately in need of Dad's help. Soon Stan finds himself saving a lion stuck up a tree, rescuing a monster truck from a ditch and taking on shark-infested floodwaters. That's right: Stan is a chip off the old (superhero) block! Phil Earle's first job was as a care worker in a children's home. Phil then chose the more sedate lifestyle of a bookseller, and now works in children's publishing - when he's not writing his own children's books! These include Being Billy and The Bubble Wrap Boy for teens and Demolition Dad and Superhero Stan for younger readers, and all of which have received critical acclaim and been nominated for numerous awards, including a longlisting for the Carnegie Medal.